Just back from a four day cycling trip. This is the last trip before the winter nights close in and we were blessed with good weather. On the second night we stayed at The Fife Arms hotel in Turriff. This is a great hotel with very hospitable owners. We stayed there a year ago and arrived by bicycle after riding all day in heavy rain. The owner was not at all fazed by the appearance of two wet individuals who must have looked like tramps and gave us a great welcome. This year we arrived dry if only marginally less elegant and were immediately recognised even though one year had passed. The Fife Arms has superb food and we had a great meal but I would single out my starter as one of the most imaginative and delicious I have ever had. Calamaris with black pudding. As most people know calamari can be tough and rubbery if even slightly overcooked. These were perfect. I am not sure of the recipe but the black pudding was thinly sliced and slightly crisp. The salad included slivers of apple, possibly marinated in the salad dressing but not cooked. There was garlic and sweet chili in there somewhere plus olive oil and balsamic vinegar. Anyway the ingredients blended perfectly into a mouthwatering explosion of contrasting tastes. This starter could be adapted to make a very good main course with the addition of a delicately flavoured rice. Where are you my guiding star? You are so bright when I don't need you. Unseen, Obscured, now that I need you. I search the heavens for a clue. And I no longer see you. So where are you my guiding star? I'm so sad and lonely. And lead me far from here. The solution I am seeking. I was thinking about those Zen moments today. Those moments when there is an awareness of being aware. When we meditate we reach these moments during the meditation practice but when going about our daily tasks it is harder to be mindful. We know we should practise awareness during these tasks but it is so easy to be in the future or past with our thoughts. Even worse we can get swept away by negative emotions such as anger. How wonderful then, when we are jolted into awareness and feel connected to and part of everything. At that moment everything is perfect. It can be, and usually is, something quite ordinary which is the trigger. I wrote my poem ' The Rooks have Gone ' after one of these moments. You can see this poem in My Poetry if you are interested. I had been away for a month and before I went the rookery in the nearby trees was incredibly noisy, with the constant coming and going of the adults feeding the young rooks. During my absence the young rooks had left the nests and all the birds were now away or quiet. 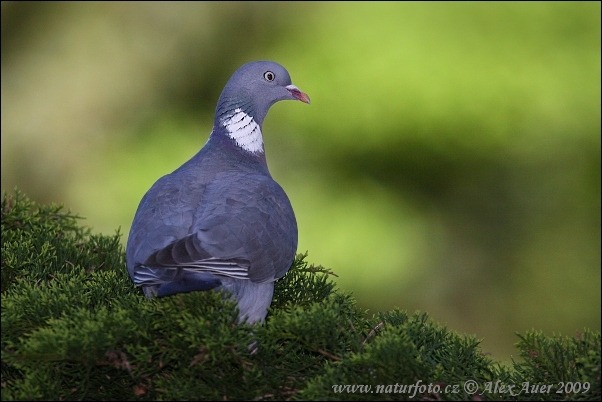 I was hanging out the washing, mind quite relaxed when I heard the call of a wood pigeon. When the rooks were there it was impossible to hear any other birds as the noise was so loud. At that moment, on hearing the call, I was aware of the pigeon and aware that there were no rooks and aware of being aware. It is so mundane but I was awakened to the eternal now by the pigeon, to the passing of time by the pigeon and of the future by the pigeon. At the same time everything became one in the perfection of that moment. I can think of lots of similar Zen moments. I guess to be ' an awakened being ' is when all of life is lived in awareness and the mundane becomes a miracle. More questioning of my Buddhist beliefs. In our Buddhist Triratna community folk often talk of aiming for enlightenment but despite years of practice and intense study nobody claims to be enlightened. Why is this? 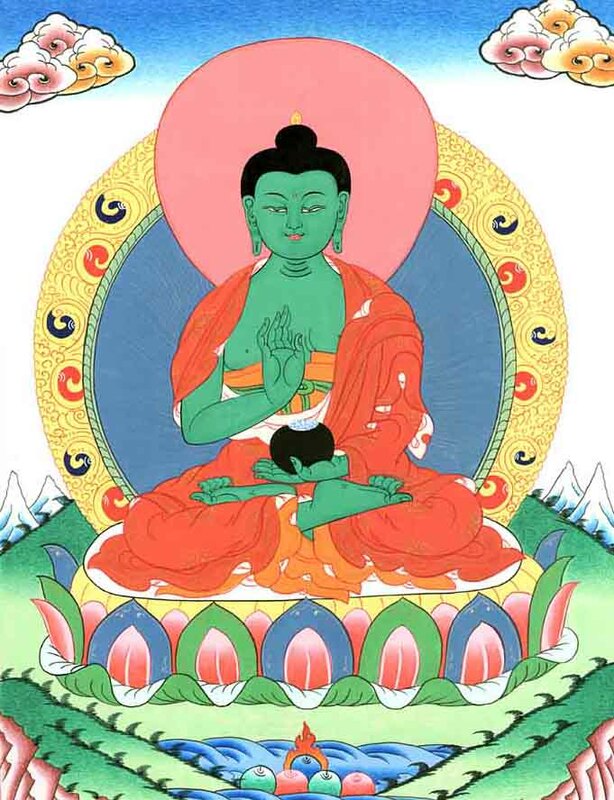 You don't have to read much Buddhist literature about the Buddha to find numerous examples of instant enlightenment. Have modern Buddhists lost the plot? Have we somehow elevated enlightenment to something completely different from the original concept? So what might be a definition closer to the understanding at the time of the Buddha? Could it just be a moment of transcendence in which we see everything more clearly, a moment when the mind is unaffected by the defilement's of greed, hatred and delusion? A moment when the separation of duality is absent? If so most of us could claim to have had moments of enlightenment. I am sure many people have had what are called ' Peak Moments ' Maybe the Zen idea of sudden realisation during ordinary activities is closer to the meaning the Buddha may have intended. It is the nature of peak moments that they can arise at any time and don't depend on any specific belief system. If you believe as I do that Buddhism is not a religion then this makes sense. If then on the other hand you believe that Buddhism is a religion then it is the essence of religion to present some kind of doctrine which is either impossible to verify or only attainable for the chosen few. Heaven and enlightenment for example require blind faith to square the circle. The Buddha explicitly warned against blind faith! However you define enlightenment there can be little doubt that meditation opens up and prepares the mind to be more receptive to moments of trancendence, however that state may be described. Labels: Buddhism. My personal exploration. I have now had over 2000 visitors to my blog! I am very surprised so many people have looked at it. I started the blog as a diary and maybe to direct visitors to my art web site. I have had visitors from all over the world. If you are reading this please leave a comment. How did you find it? What did you search for? Why do you like it ( if you do ) and do you visit more than once? I would be really grateful if you could leave a message. Thank you very much for looking and if you are kind enough to leave a comment thank you again. It is good to travel if only to realise you have already arrived. Some people have tattoos. Some people have images of their heroes. This cat is a bit narcissistic! We are just back from a four day trip to the west coast. Spending the first night at the excellent Ullapool youth hostel where we met Walter Lekie an Argentine general practitioner who was trying to trace his Scottish ancestry. Lekie being a Scottish name belonging to the McGregor clan. Walter could speak almost no English and to my delight we were able to converse in Spanish. I say to my delight because I get so little opportunity to speak Spanish I really thought I had lost it. Walter joined us for dinner and we spent a pleasant evening together. The weather in Ullapool was warm and sunny with great clarity. Before checking into the hostel we climbed Ullapool Hill and were rewarded by incredible views of the town, harbour and surrounding hills. The next day we climbed Stac Pollaidh the mountain in the picture. John had never been this far north and he was amazed at the view from the top over the Inverpolly wilderness. It was benign on top, so much so, we could enjoy lunch in comfort. We then drove to the far north and stayed at Tongue youth hostel ( almost empty except for two girls cycling Lands End to John O Groats and a very nice lady of Italian origin called Nadia Faccenda). Nadia had set up her own business Saffron Accessories and was having a few days away from it all. We explored the amazing coast line with it's pristine beaches, again in very good weather, and spent another night at Tongue. On Saturday we drove back home stopping to show John the famous and isolated Crask Inn. A very good four day break. The Highland Triratna wider Sangha attended a two day Dharma and Meditation workshop this weekend. It was led by the chairman of Vajraloka retreat centre Tejananda. He is an inspiring teacher with a very clear and special way of communicating and teaching. He is remarkably free of fixed view points on dogma and doctrine and his clear and honest explanations gave fresh insights into familiar subjects. For me it came at exactly the right moment as there has been some slight difference of opinions regarding the way forward within our sangha. Some of the concerns regarding my relationship with Triratna were answered by Tejananda, not in response to specific questions but more in his attitude to the Dharma. The situation has arisen principally because there has been an increase in the size of the Moray sangha after our recent and successful beginners courses. Up to now the decisions and directions have been made by a small group of order members and trustees in the other main centre of activities at Inverness. Now some members of the Moray sangha want greater autonomy to be considered. The other issues are more to do with teaching styles and other doctrinal matters. However all of this is very healthy and is to be expected with a growing sangha and hopefully as Buddhists we will be able to accommodate all views. Further to my previous post when I said I didn't know if Steve Jobs was a Buddhist. It seems he was! Apparently he was a follow of Zen. This does explain the passages I posted from his Stanford University speech. The exhortation to contemplate death and therefore not waste this life is one of the four reminders. The other three are. 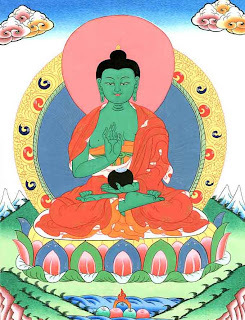 This Precious Opportunity, Karma and The Defects of Samsara. I don't think Steve Jobs was a Buddhist but his speech at Stanford University could have been by the Buddha himself. In that long inspirational address the following short passages contain all the wisdom you need for living life as it should be lived! As Buddhists we are taught to contemplate death as a reminder not to waste this precious life. I salute the humanity of Steve Jobs, he was a great man. Here are the two short passages. Your time is limited, so don't waste it living someone else's life. Don't be trapped by dogma — which is living with the results of other people's thinking. Don't let the noise of others' opinions drown out your own inner voice. And most important, have the courage to follow your heart and intuition. They somehow already know what you truly want to become. Everything else is secondary". Personally I think these words are as important as his great career. Amoghasiddhi. The Buddha of the North. Our fourth meditation course ended last night and we ( Suzie, Maggie, Kevin, Sam and myself ) were very touched by the good wishes and expressions of appreciation that we received from those who attended the course. Many participants were keen to continue and develop their practice on our regular meditation nights. We all agreed that these courses enliven our own practice. They ( the courses ) raise questions that would not normally arise. There is nothing quite like questions from ' beginners ' to make us look at our own understanding of meditation and the Dharma. This poem by A. E. Housman from his epic 'A Shropshire Lad ' is one of my favourites. It is written from the viewpoint of a young man of twenty who has woken up to his own mortality. He realises that he will only see so many springs and therefore goes to look more intently at the cherry blossoms. As I am considerably older than twenty the knowledge of my own mortality is even more acute! However it makes me more mindful of beauty and this precious human life. I watched England and Scotland play in the rugby world cup this morning. I was on the edge of my seat though out the very close match. England snatched victory in the last three minutes. Key to the win was the kicking of Jonny Wilkinson. He kicked two penalties and one drop goal. The concentration on his face ( the cameras zoom in so close you could be next to him ) is wonderful to behold. He is totally in the zone, a Zen moment. He is quite small for a rugby player and good looking but not only kicks well but is fearless in his tackling of huge opponents and never loses his focus on the entire game. He is my favourite sporting hero as he is such a gentleman and sportsman. He is a Buddhist and uses his meditation practice to develop the intense concentration needed to succeed with those huge long kicks. Hats off to Scotland's players, they played a superb game and despite their deep disappointment shook hands with the English players with pats on the back and the odd hug. This was sport at it's best. Zen moments and lots of Metta.